Situated in the Western Ghats, one of the biodiversity hotspots of the world, the M. S. Swaminathan Botanical Garden (MSSBG) is uniquely positioned to address biodiversity conservation in the biodiversity-rich region of India. Additionally, in association with the parent organization, the M.S. Swaminathan Research Foundation’s Community Agrobiodiversity Center, the garden will also play a key role in addressing the local agricultural heritage and conservation of crop genetic resources such as spices and plantation crops, medicinal plants, aromatic rice, and diverse non-wood forest products used by the tribal communities. 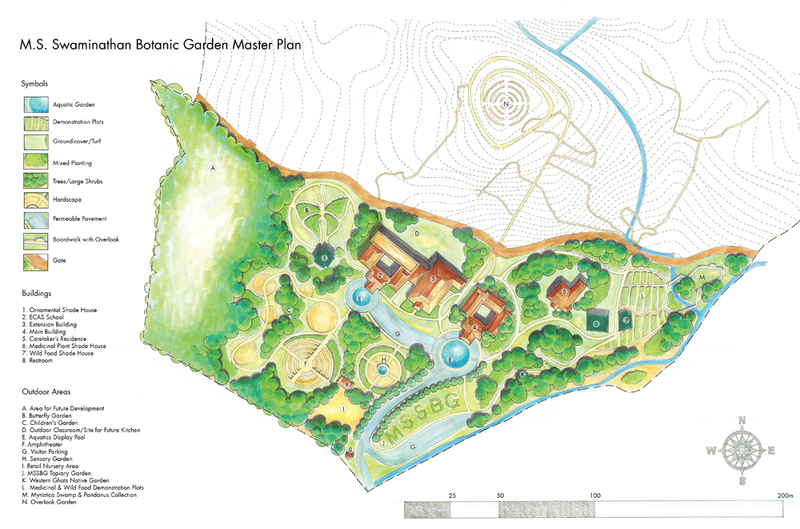 Through receipt of funding from a private donor and the Association of Zoological Horticulture Conservation Grant, Denver Botanic Gardens is assisting the MSSBG in developing a long-term plan for the growth and development of the botanic garden. 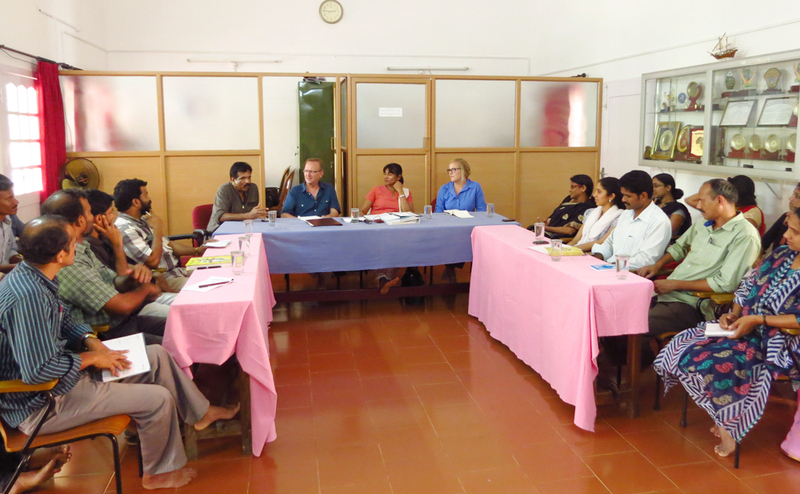 In March/April 2014, Dr. Sarada Krishnan, Nick Snakenberg (curator of tropical collections), and Hayley Cook (horticulturist and landscape designer) visited MSSBG and held stakeholder meetings to develop a master plan for the garden. During the visit, a thorough site analysis was performed and multiple stakeholders to include staff, local and state government authorities, other botanic garden and university personnel, community members, teachers, farmers and tribal leaders were engaged to identify collections and program priorities for the botanic garden. A master plan for the MSSBG was developed in February 2015. This comprehensive plan will guide MSSBG in prioritizing collections and programs in the coming years. 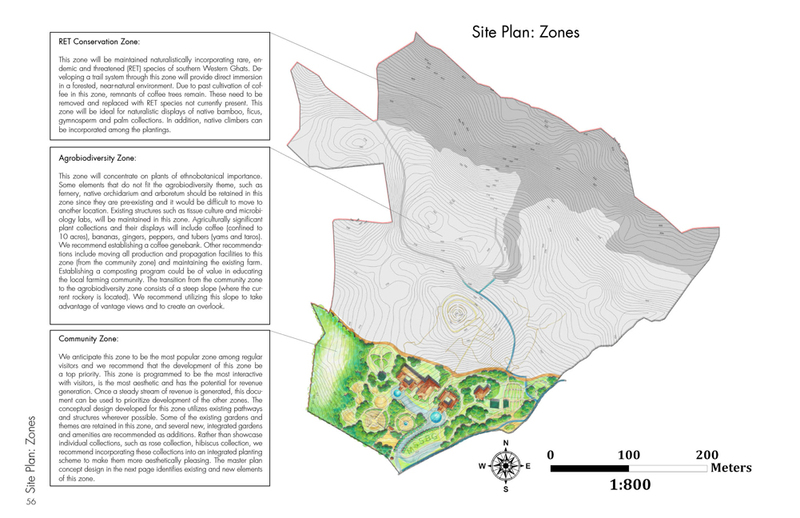 Plans for four individual gardens were created in collaboration with University of Colorado landscape architecture students. MSSBG staff created a budget for implementing three of these gardens and we are currently assisting them in developing a fundraising plan.